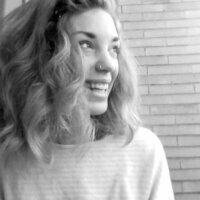 Allie Vandersanden is a freelance writer and editor from Ontario, Canada, currently living in Florence, Italy, and teaching ESL. Allie completed her undergraduate degree in English literature and pursued her post-graduate studies in creative book publishing. Her interests include travel, blogging, seeking sunny spots to lounge in and curling up with a good book and a cup of tea. Sometimes the best thing you can do after a breakup involves going far, far away.